As a child, I can remember reading lots of books and taking my imagination into whatever I was reading. I would change the voice to match that of the characters. I would become completely enthralled in my adventure. It was my escape. 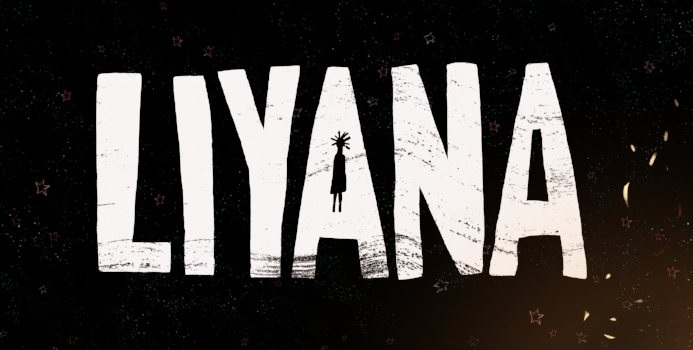 In this film, Liyana is a character created by a group of young boys and girls from an orphanage in Swaziland. Their teacher oversees the process of them picking out what she looks like first and allowing them to tell her story. It seems like a typical fun classroom experience until you realize that it is story being told through children who have seen horrible things and have been displaced. That narrative would change any story. As Liyana’s story is being told, you learn more about the children and their life at the orphanage. With smiles that light up your soul, they tell the beginning of the story of Liyana, who’s life mimics their own hardships and pain. It was at this point that I was really worried that this was going to be dark. I had my hand to my chest, taking in the blows of hearing the description of events that no one, especially a child should ever face. Although I know it happens, I will never be numb to it’s reality. What I loved most about this film is that while the children told the story, LIYANA came to life thru animation. So while you listened and watched them tell the story you were also watching her journey too. And while the story started off hard for her, you watched her become brave and overcome her fears. A superhero emerged that looks just like them, who had the same struggles that they had, and who made a choice that they want to make; to write their own story in life. LIYANA is a part of the African Diaspora section of the film festival. This movie took years to make as it is a documentary and animation in one. This movie reminds us that our end doesn’t have to look like our beginning. Being brave and overcoming our fears can give us hope to keep fighting to change our narrative. This post is part of a two-post review. Read Shana's thoughts on LIYANA in part 2.